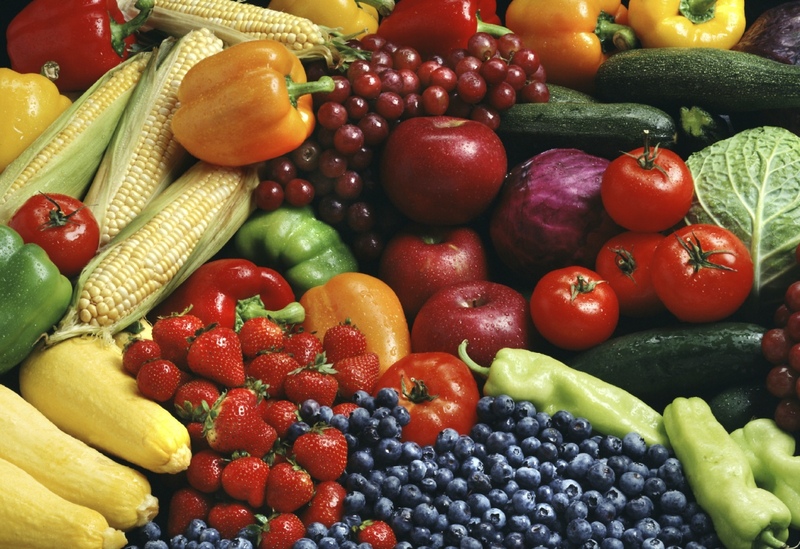 Build a small supply of food that is part of your normal, daily diet. Store water in sturdy, leak-proof, breakage-resistant containers. Consider using plastic bottles commonly used for juices and soda. Save a little money each week, gradually increasing it to a reasonable amount. Where permitted, gradually build a supply of food that will last a long time and that you can use to stay alive, such as wheat, white rice, and beans. 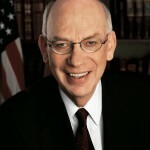 Members of The Church of Jesus Christ of Latter-day Saints will recognize that this plan was detailed in the pamphlet All Is Safely Gather In: Family Home Storage. The plan can be simplified even further, at least for those beginning their family home storage, by focusing on the first three items. We encourage Church members worldwide to prepare for adversity in life by having a basic supply of food and water and some money in savings. We ask that you be wise as you store food and water and build your savings. 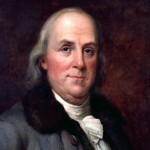 Do not go to extremes; it is not prudent, for example, to go into debt to establish your food storage all at once. With careful planning, you can, over time, establish a home storage supply and a financial reserve. This preparedness plan is simple and realistic. 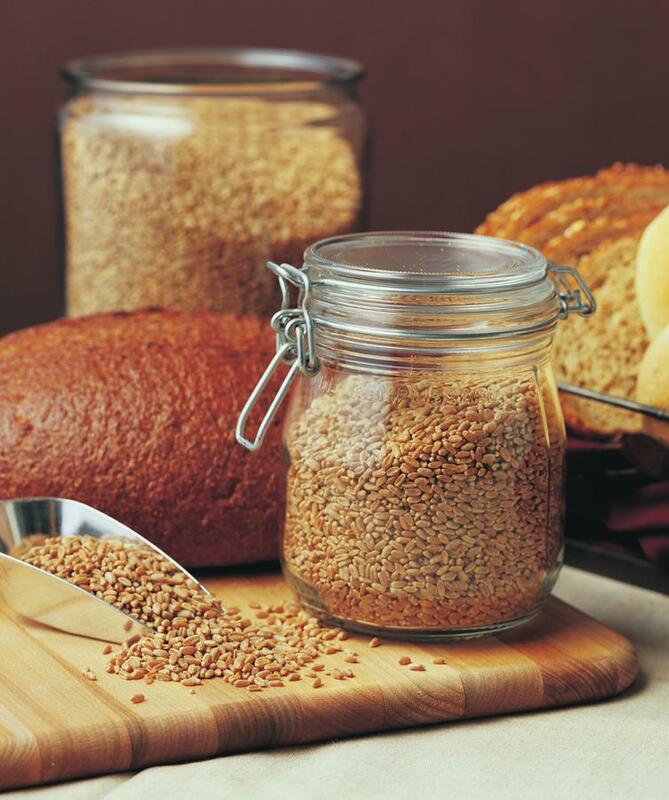 Newly married couples can easily follow this plan and build a decent food storage over time. Young Single Adults can too. When I was single I had 350 pounds of wheat, among other food supplies, that I sold to help pay for my travel to the United States when I emigrated. Today I hope I have given you something to chew on. For our wants to be supplied. 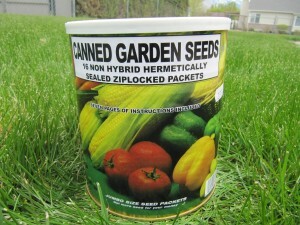 I purchased a can of non-hybrid garden seeds. They are a good item to store for a time when seeds may be hard to obtain or become very expensive. 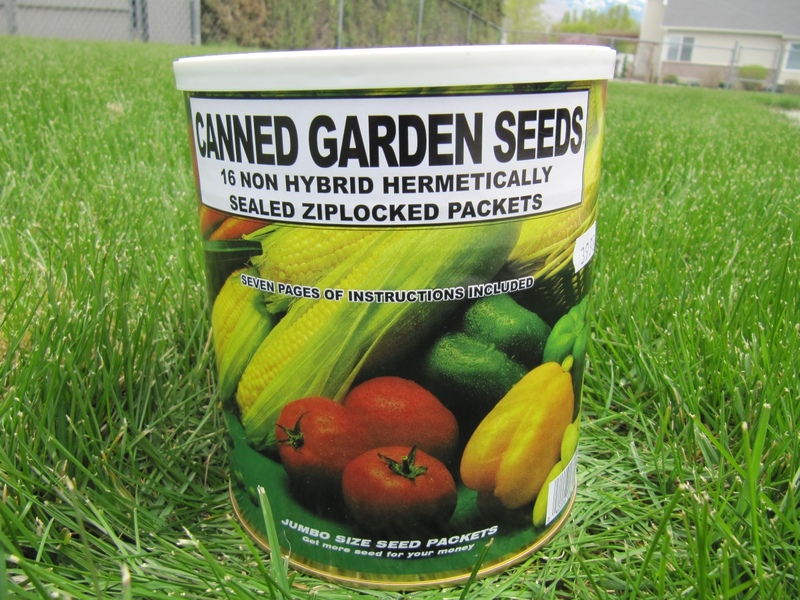 If you are trying to be self-sufficient, using hybrid seeds is not a good idea. The seed of hybrid vegetables does not grow true — you may not get taste, productivity, or even appearance. Only open pollinated, or “heirloom”, or “traditional” varieties will produce seed which, when saved and planted next year, will give you the same results as the parent plant. Save your own seeds. This cuts gardening costs by 25% to 50%. Non-hybrids taste better. Many hybrids are now selling for high prices. When you save your own seeds, you only buy once. The unopened seeds should store for four years or more depending on storage temperature. The seeds have been carefully dried to their optimum moisture content to increase their storage life. The cooler the storage temperature, the longer the storage life of your seeds. 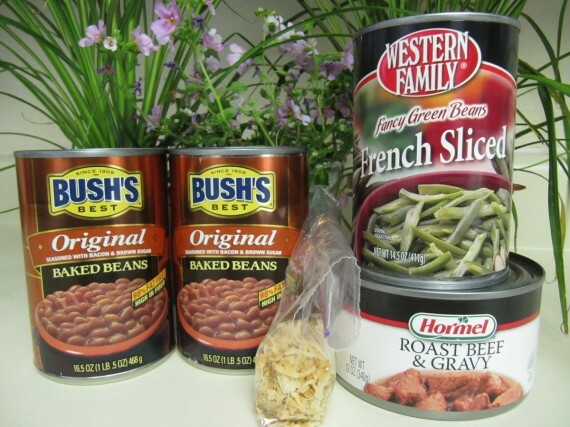 This can of seeds is ideal for emergency and preparedness storage. The best place to store your seed would be in a cool, dry, dark location such as a basement. For best results store unopened can in a refrigerator or freezer. You can replant the seeds of these non-hybrid varieties for future harvests. Empty juice from a can of pineapple rings. Mix the Jell-O (use green if you live in Utah), substituting juice for water. Use the can as a mold, moving the pineapple rings around to allow the Jell-O to get in between. 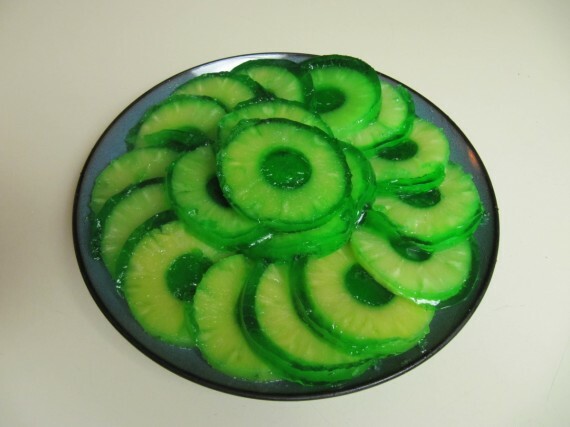 When set, open the remaining end of the can and push the Jello-O and rings out onto a plate. Jell-O is the official state snack food of Utah and Utahns have the highest per capita consumption of Jell-O in the world. What is your best weight loss tip? Tell the readers what helped you lose weight. It can just be a simple tip or you can further describe how you personally used your tip to lose weight. 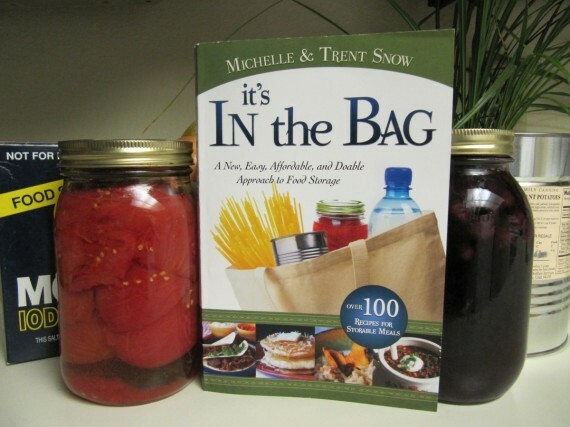 Yesterday I reviewed the excellent new book It’s In the Bag by Michelle and Trent Snow. Everything you need for a meal comes from a bag out of your food storage. I figured I ought to try one of the simpler recipes so I went for the Uglier than Heck Soup. However, I didn’t have all the ingredients so I chose the Beefy Bean Casserole. For tonight’s meal I grabbed my imaginary bag and emerged from my food storage with the items in the photograph above. The plants are for decoration, not for eating. The small sandwich bag contains 1/4 cup of dried onions. I emptied all the contents of the cans, except for the sliced green beans (heat in a separate pan), into a pan and stirred until hot. The recipe calls for the gravy to be drained from the meat but I like to use it in the mix for an extra beefy taste. By the time the meal is heated, the dried onions have reconstituted. Serve with bread. For more about the author and her books see Michelle Snow’s website. The casserole was excellent — I was surprised at how well it tasted. All the men in the family ate while Jill was with her visiting teachers. We went back for seconds. There was only a morsel left for Jill when she came to eat. No worries, I am bound to cook some more soon. Makes a break from beans on toast. I purchased a useful little book last week called It’s In the Bag by Michelle and Trent Snow. Michelle is affectionately called “The Bag Lady” because of her Bag Meal System. The book is well laid out with easy to follow instructions. Over a hundred recipes extend its usefulness for as long as you need to store food. The system is simple. I put everything I need for a meal in a bag. As I read through the first chapter it really does turn out to be simple — even a man could do it. Michelle guided me through 12 advantages of Bag Meals from “having organized meals ready” to “an easy way to rotate my food storage.” There are photographs too for the folks that never read the instructions but want to get moving. The bulk of the book is taken up with bags of recipes — or perhaps recipes for bags? Now in my home I hardly ever cook and when I do it is beans on toast (now that wouldn’t need a very big bag). 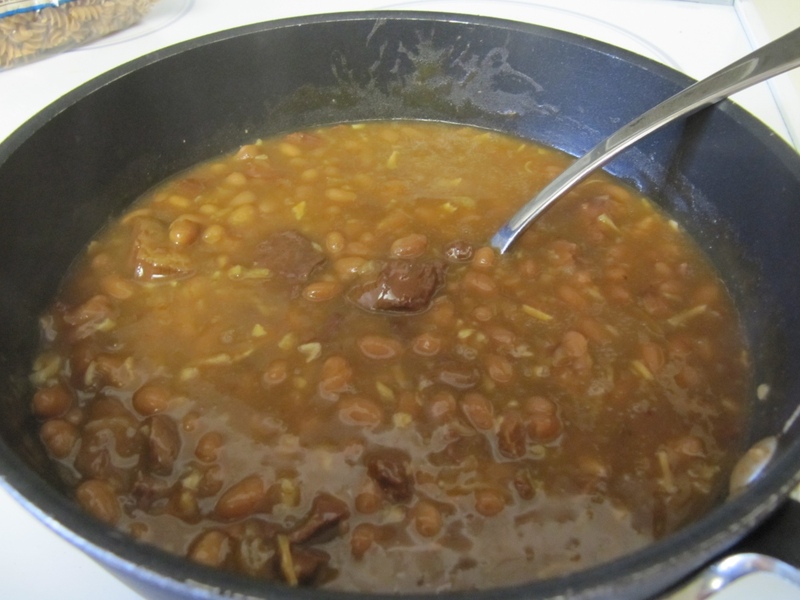 But a lot of these Bag Meal recipes look so easy to do that I might consider branching out and rustle up some Pinto Beans (page 68) or Spicy Chicken and Navy Bean Soup (page 79) or perhaps a Beefy Bean Casserole (page 58). But the really must try meal is Uglier than Heck Soup (page 78). There are some other useful sections in the book. One that took my interest is Trent’s Sprouting Methods. I have yet to try what he says but I at least I have my bookmark in place. According to the cover, It’s In the Bag will have you storing what eat and eating what you store. After reading the book I would have to agree with the cover, the Bag Meal System is simple and realistic. For more information, see The Bag Lady’s blogs: Michelle Snow and Welcome To The Food Storage Revolution! Full disclosure: I purchased the book and was not paid for this review. The Trents are neighbors. 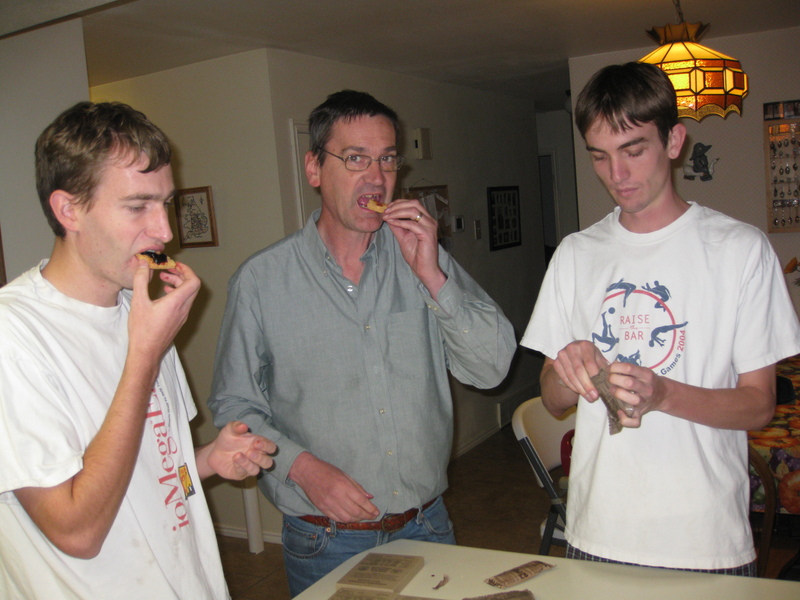 We tested our Meals Ready to Eat (not the military version)﻿ last month and they were barely edible. I promptly ordered a case of APack Ready Meals and tonight they underwent a taste test. We each took an APack so that at least all six varieties were covered. Every APack Ready Meal includes an entrée with self-heating unit, side dishes, beverage mix (bottled water not included), condiment, utensil and towelette. The individually durable packaged meals have an extended shelf life of up to five years depending on temperature. Meals are self-heating — the entrée is ready in 10 minutes. How many APacks do we need per person per day? Each APack contains between 1,140 to 1,310 calories. Allowing 2,500 calories per day for men and 2,000 calories per day for women, one case (12 meals) is enough food for two people for 72 hours. We will probably add an extra APack a day for the men. I assembled a discerning team of eight for the taste testing. If this crew is happy then APacks will go into our 72 hour kits. The long story is below. The short story is we liked the meals. Each APack had these common items: entrée, heater, salt water for heater, cracker, pepper, raisins, and spoon. Items that varied are listed below. Paul's said his pasta APack was the best. Paul — Pasta With Garden Vegetables in Tomato Sauce 1,150 calories. Common items plus raspberry beverage tube, peanut butter, fig bar, and shortbread cookie. We sampled each other’s meals. Paul says that his was the best one. He only ate the entrée and saved the rest until later. 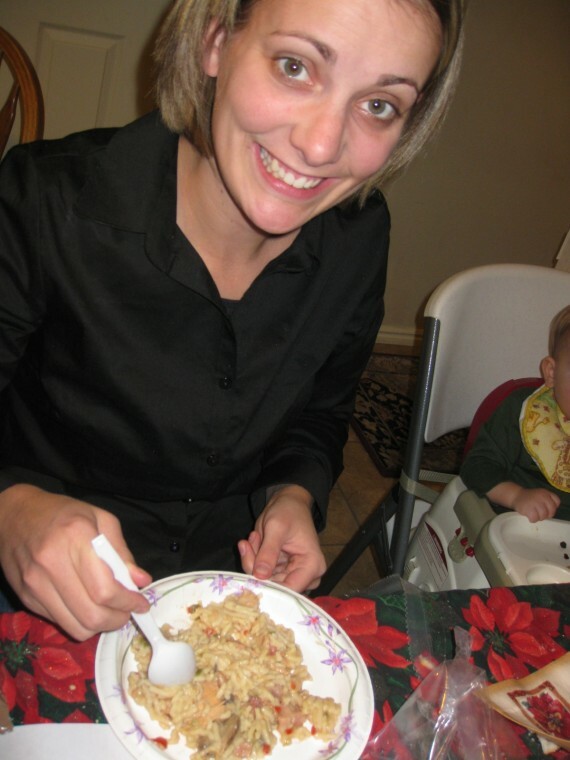 Sarah — Creamy Chicken Tetrazzini 1,140 calories. Common items plus lemonade beverage tube, cheese spread, fig bar, and shortbread cookie. Sarah found the crackers dry but were good with the cheese spread. She also mixed the cheese spread in with her entrée. She said the Chicken Tetrazzini was so-so but she would eat it again. It may have tasted better if it was warmer. The fig bars tasted just like fig newtons. Jill's spaghetti APack was plenty for her. 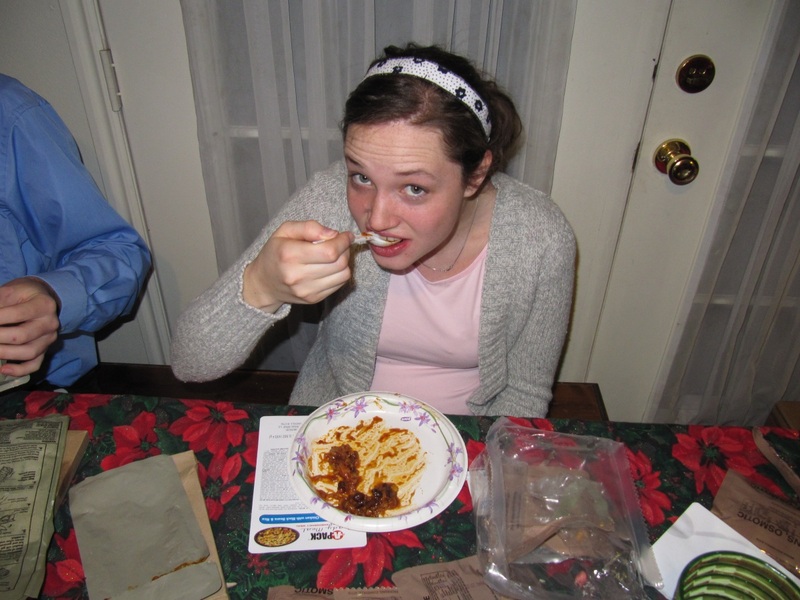 Jill — Spaghetti with Italian Style Meat Sauce 1,310 calories. Common items plus raspberry beverage tube, peanut butter, strawberry toaster pastry, and oatmeal cookie. Jill did not like her raspberry drink but thought Sarah’s lemonade was fine. She didn’t eat all her spaghetti because she was full. I tried the spaghetti and it was tasty. 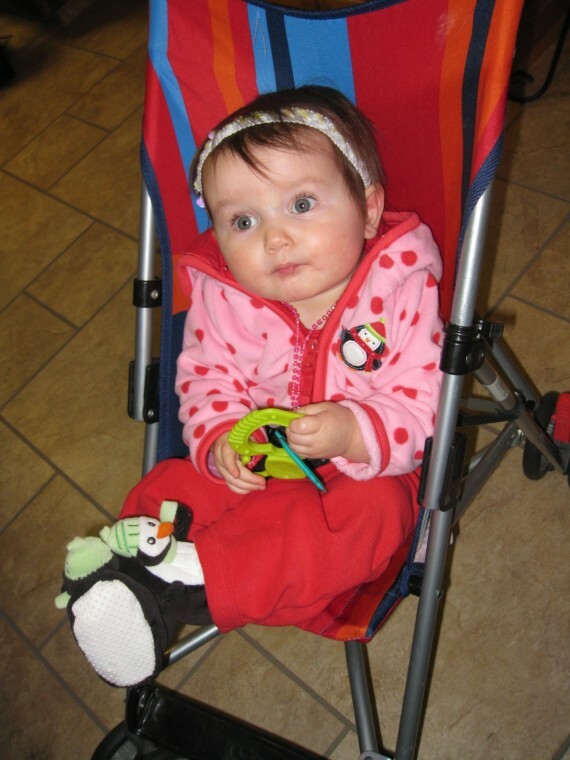 Adelaide observed that you need a knife to open the packages. Adelaide — Southwestern Style Chicken with Black Beans & Rice 1,190 calories. Common items plus raspberry beverage tube, cheese spread, fig bar, and shortbread cookie. Adelaide pointed out that one needs a knife to open some of the packaging and that was duly noted. Even though she is pregnant she liked all her food, plus ours as well. The heaters were good and hot. Steven did not get enough to eat. Steven — Homestyle Style Chicken Noodles with Vegatables 1,180 calories. Steven traded his cheese spread for peanut butter. He said the food was not sufficient. There were some items left over from the rest of our meals that would have fed him if we were in the wilds somewhere. The beef stew was very agreeable. 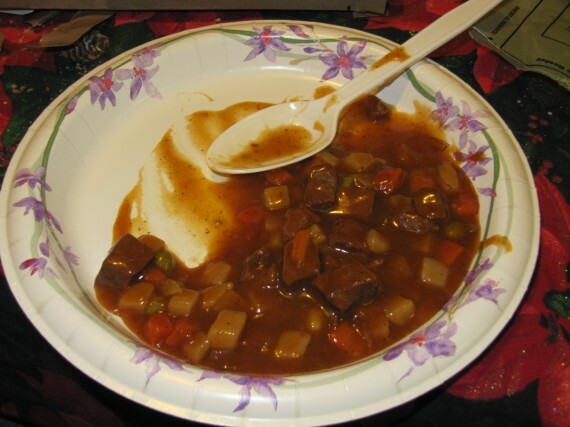 Rick and Derek — Hearty Beef Stew 1,310 calories. Common items plus lemonade beverage tube, peanut butter, strawberry toaster pastry, and oatmeal cookie. Rick: No we didn’t share a meal, we each had our own beef stew. I tried all the meals and this was by far the best one. The gravy was really thick and there was proportionally a good amount of beef. The heaters cranked out plenty of BTUs to give us some very hot food. I liked the raisins as did everyone else. Both Derek and I traded or gave away our peanut butter. I personally cannot abide the stuff. The oatmeal cookie was dry but still tasty. The toaster pastry was just like a pop-tart. 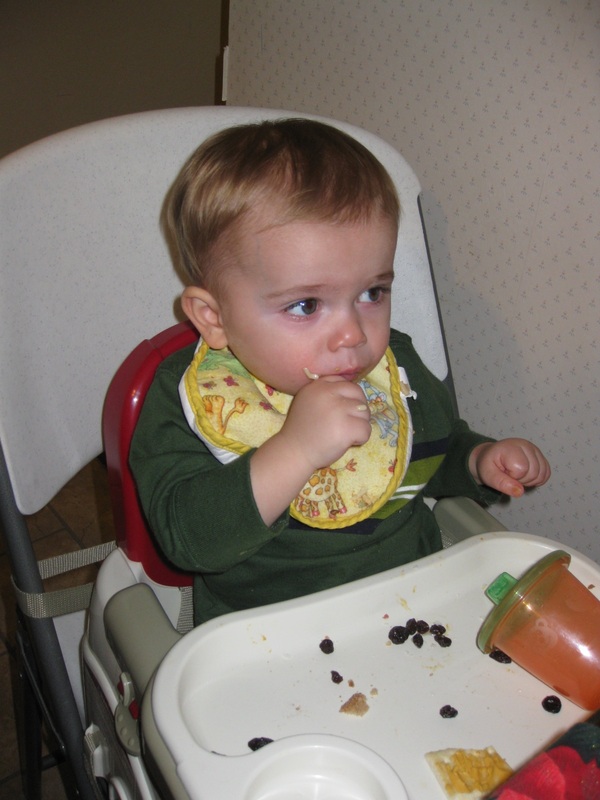 Bryson says the raisins were juicy. My job was to check out the raisins and the cheese spread on crackers. Very tasty indeed, better than the awful baby food I am used to. I really wanted my own entrée but I couldn’t reach as I was fastened in my high chair. My dad’s beef stew looked really good and he let me taste some of his. Aurora, no APack for you! Do I ever get anything fun to eat? No. Really, they treat me like a little girl. There is not an expiration date on the cases or individual packs because the shelf life varies based upon storage conditions. However, each case and individual pack contains a production date code similar to “9048” that was marked on mine. The 9 represents the year (2009) and the “048” represents the day (48th). 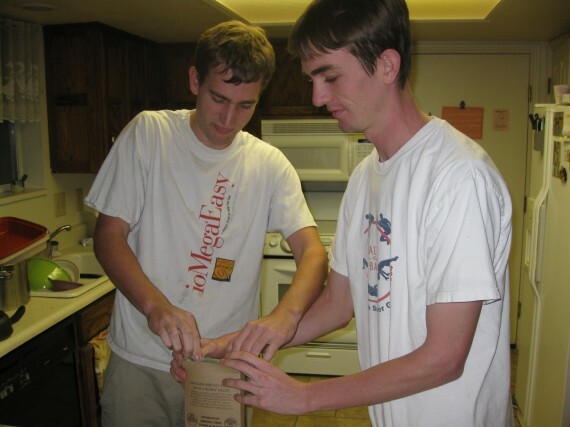 Thus, the meal’s date of production is the 48th day of 2009. So my APacks were nine months old when I received them. I purchased my meals from the manufacturer in November at a cost of $69.95 for a case of twelve ($5.83 each). With shipping the total is $84.16 ($7.01 each). You have to buy the whole box. The Epicenter will sell half a case for $35 (plus $10.63 shipping) for a cost of $7.61 each. When I ordered a half case from The Epicenter the production date was one day earlier than from the manufacturer’s store. Note that there are other manufacturers that make civilian MREs. I chose APacks because of good reviews and the pictures of the meals on their website made the food look tasty and I was hungry when I ordered. I was born in England and emigrated to the United States while in my twenties. 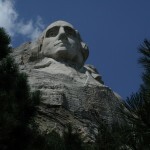 I am thankful to be living here and the people have been very welcoming and kind. 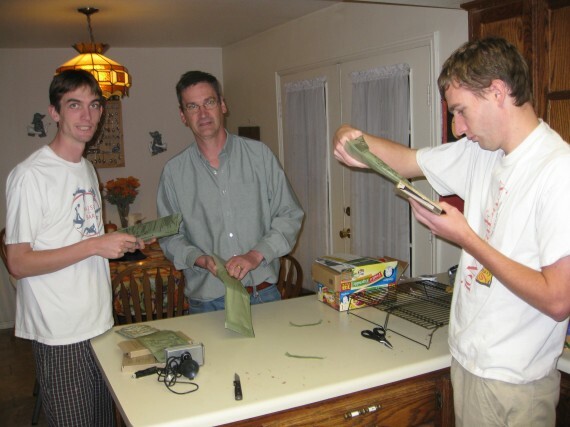 My two brothers were also able to emigrate and they and their families will join me and my family for Thanksgiving today. We do have Thanksgiving in England. We give thanks those annoying pilgrims left. 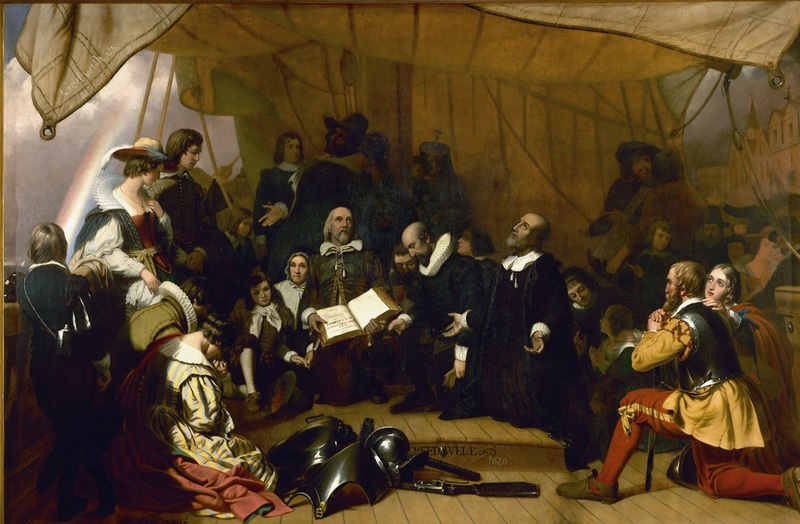 Protestant pilgrims are shown on the deck of the ship Speedwell before their departure for the New World from Delft Haven, Holland, on July 22, 1620. William Brewster, holding the Bible, and pastor John Robinson lead Governor Carver, William Bradford, Miles Standish, and their families in prayer. Painted by Robert Weir (1803-1889). When Speedwell reached Southampton they met with Mayflower and additional colonists. The two vessels set out on August 5 (old calendar) / August 15 (new calendar). Soon after, Speedwell began taking in water, so both were diverted to Dartmouth. There Speedwell was inspected for leaks and sealed, but a second attempt to depart also failed, bringing them only so far as Plymouth. One area of preparedness we have neglected over the years is our 72 hour kits. We only have one full kit for one person. As I want to be able to take the kit with me in an emergency I decided long ago that it needed to be based on MREs (Meals Ready to Eat). 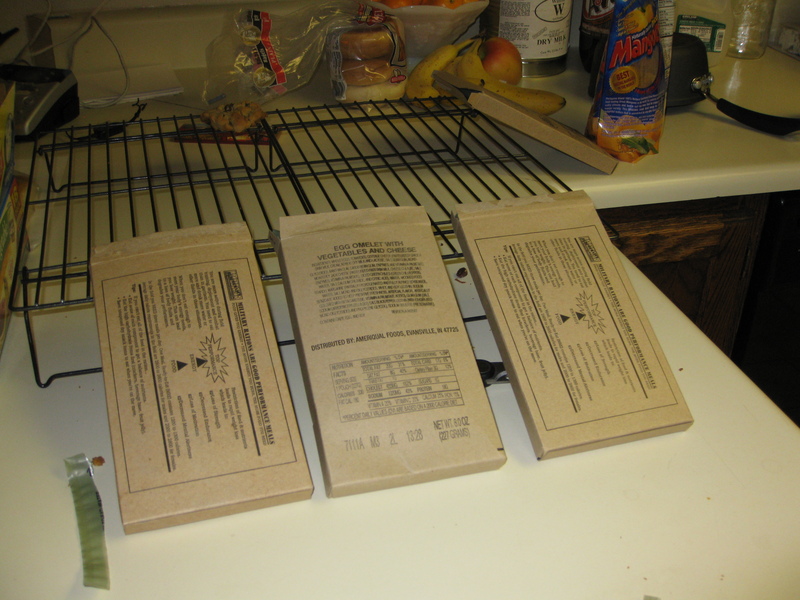 MREs are lightweight and come with their own food warmer. For me the civilian MREs will do as they are easier to obtain. If you want to learn more about MREs I highly recommend the MRE Info website. The first two we did not like but the last two were OK. Later I googled online for the distributor of the MREs and found the corporate website at Ameriqual Foods. 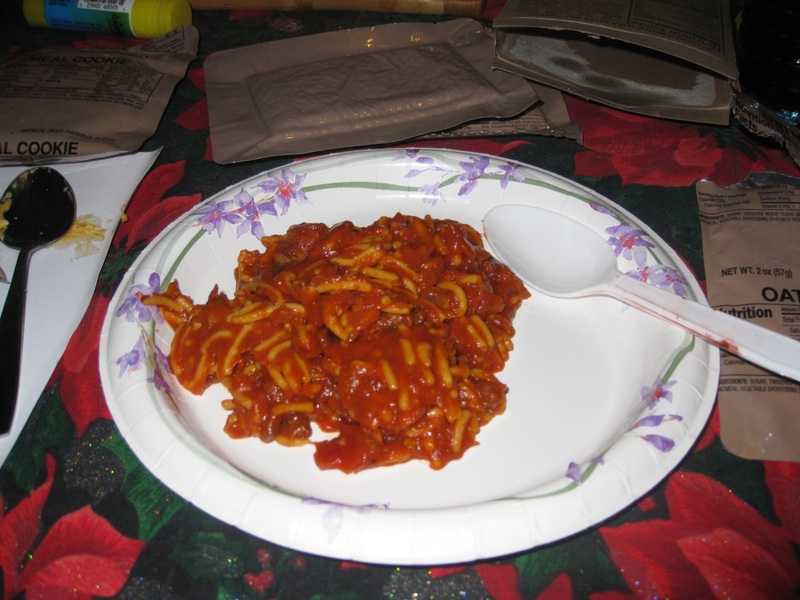 I didn’t see the meals that we tried in their A Pack Ready Meal self-heating emergency meals at the Ready Meal website. I ordered a box containing two each of the MREs to try them out. Alternatively a half case can be ordered from The Epicenter containing one each of the six menus. Every APack Ready Meal includes an entrée with self-heating unit, side dishes, beverage mix (bottled water not included), condiment, utensil and towelette. 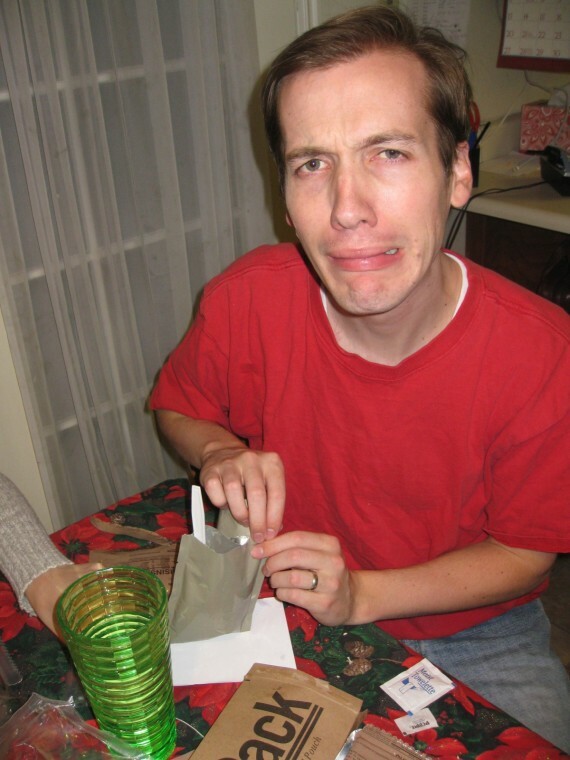 As mentioned, the MREs we tried were very different from the APacks. When the APacks arrive I will check those out and report. The food is already cooked and all you have to do is warm the MREs. We did this as part of our Family Home Evening on preparedness. Jake, Rick, and Paul slip the food pouches into the supplied heaters. 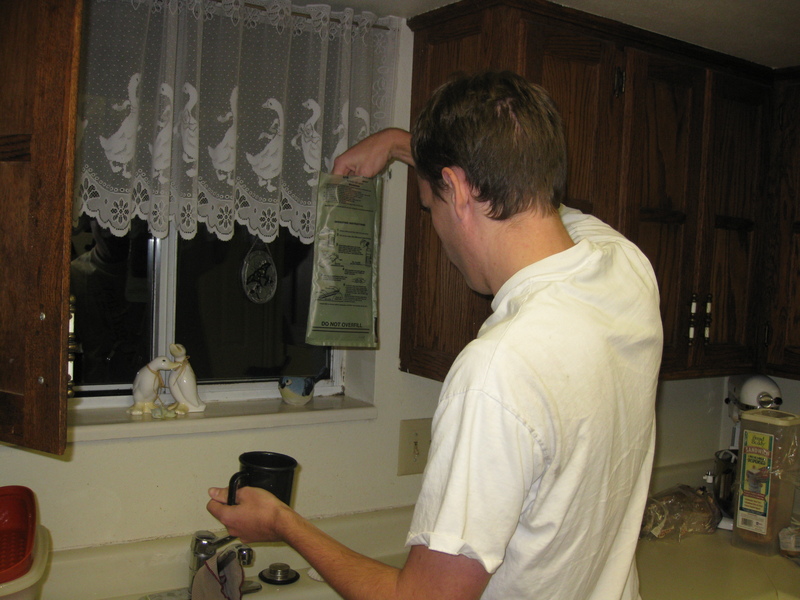 Paul filling the heater bag with a small amount of water. Paul and Jake put the heater and the food pouch back in the box. Find a handy "rock" to angle your MREs while they warm. 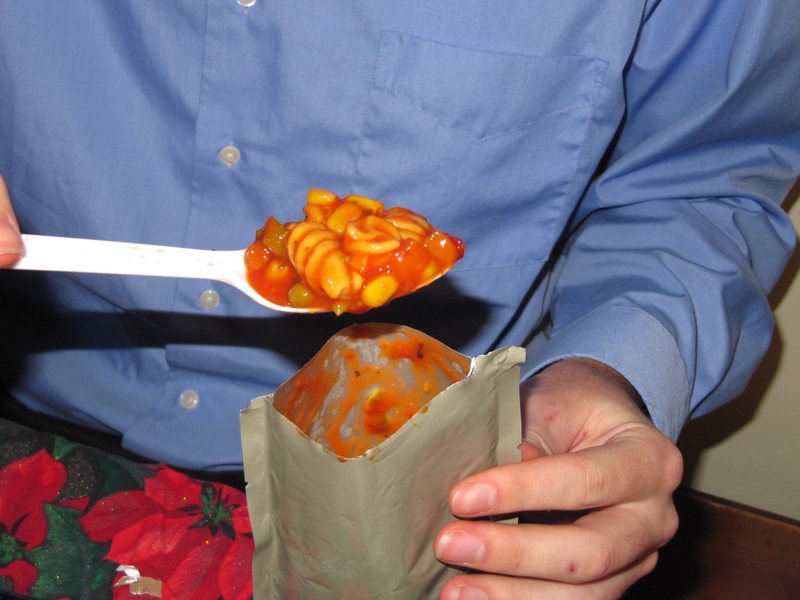 Partake of your MRE dessert or snack while your meal is warming. 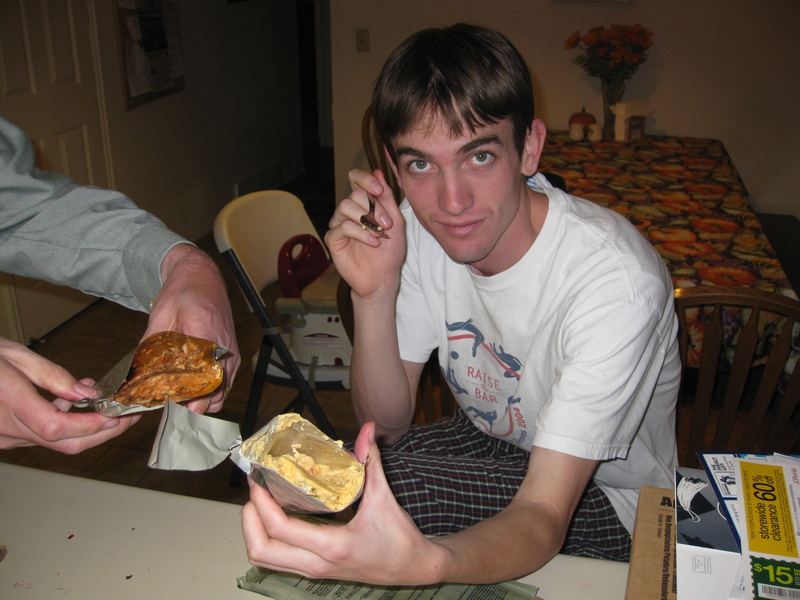 Jake's MRE was so gross no-one would eat it. The others were fine. It is important that you try your emergency foods before you actually have to use them. In an evacuation you will no doubt be stressed so foods that you are familiar with and like will help to ensure you stay nourished. Do you have an 72 Hour Kit and if so what kind of foods are in it? Do you use MREs? Have you ever had to evacuate your home?